Just look at that face! Wait… does Cat Bot love you for you, or just because you feed her? Hmm. It’s hard to know for sure. But that’s just part of the mysterious nature of Cat Bot. 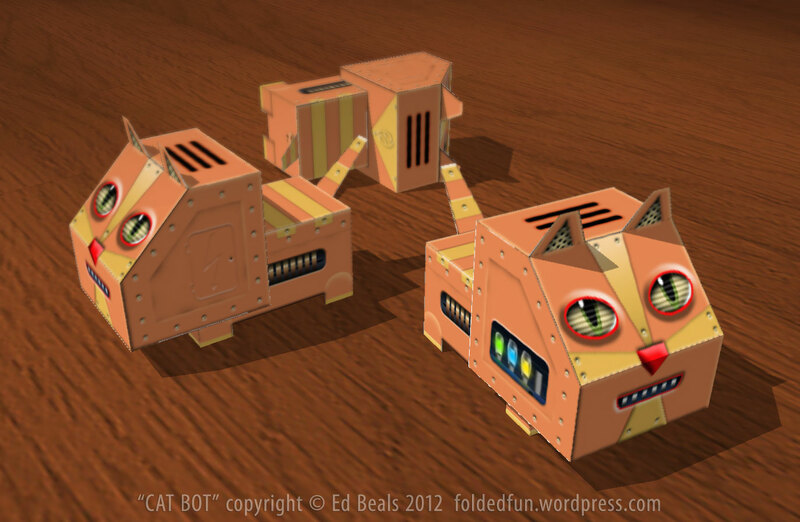 Like the FOLDed Facebook page and send me a photo of your Cat Bot! Hey look, it’s Dog Bot! Everyone’s favourite paper canine robot! Loyal and compact, Dog Bot makes a great watch dog because he never blinks. 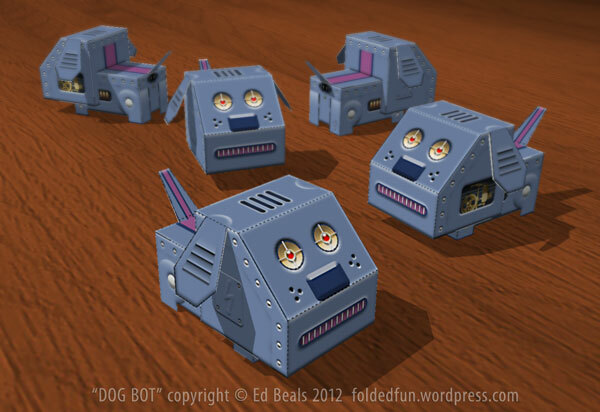 Like the FOLDed Facebook page and send me a photo of your Dog Bot! Tired of the same old animal robots? Maybe it’s time to step up to this rare and stylish Unicorn Robot. “Uni-Bot” has the look of brushed stainless steel and old school rivets. You’ll be mesmerized by the deep blue portal eyes. 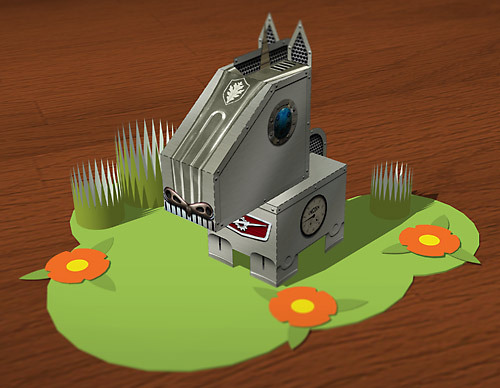 Uni-Bot is available in FOLDed Set 1 (also includes Cat Bot and Dog Bot). 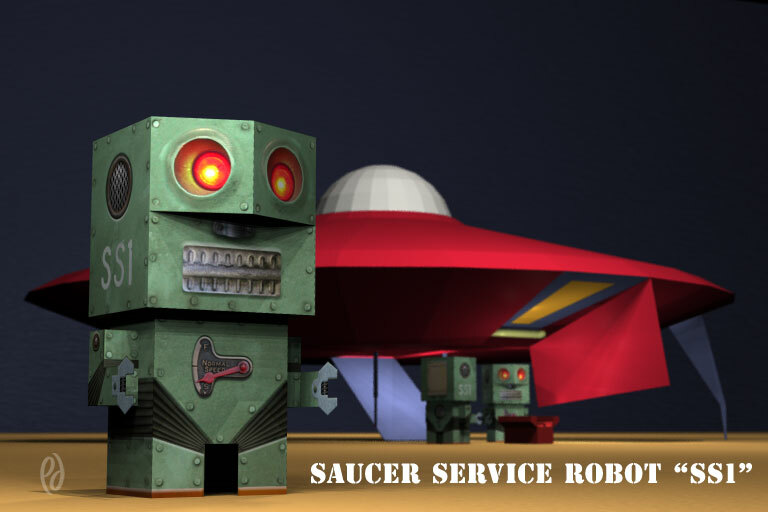 Like the FOLDed Facebook page and send me a photo of your Unicorn Robot!